Departing This Earthly LifeDiscussing death has always been a delicate topic especially when it comes to crafting obituaries for loved ones. Over the years, obituaries have evolved, shaped by society’s customs in different ways to tell the tale of someone’s life and death. This can be seen through the evolution of the language used to describe death. The language of obituaries can be divided into three broad categories: polite euphemisms, transcendent experiences, and there’s more to the story style. Polite euphemisms are a gentle way to talk about death without mentioning the “d-word”. Transcendent experiences involve using religious or spiritual terms to define death. The there’s more to the story style-obituaries are similar to polite euphemisms in that they avoid explaining how someone died, which are used in times of sensitive topics such as overdose or suicide. Obituaries today follow a more traditional format including a list of close relatives, funeral service details, and at times a favorite hobby. However, many families are beginning to personalize obituaries to help portray the meaningful story of a loved one’s life. Rather than just announcing their death, families can express a loved one’s life through their memories. Many phrases are being used that describe death in a colorful way and bring out the personality and story of the deceased. These new forms of obituaries aren’t just stating the facts of death, but memorialize the person’s life. 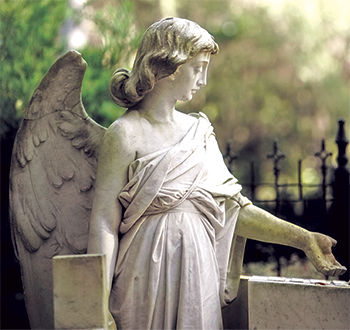 Personalized obituaries help families during the grieving process in many ways. Families will have the time to reminisce about all the light their loved ones brought to their life, as well as, the positive memories they have shared. A meaningful tribute can create laughter, spark memories, and generate happiness for family and friends.